Such bearing is installed with spherical rollers between the outer ring for spherical raceway and the inner ring for double raceway. As the arc center of outer ring raceway coincides with bearing center, having aligning feature, it can adjust automatically axial center misalignment as a result of shaft or housing deflection or non- concentricity. It is capable of bearing axial load and bi-directional axial load. Especially, the radial load bearing capability is so high that it can bear heavy load and impact load. 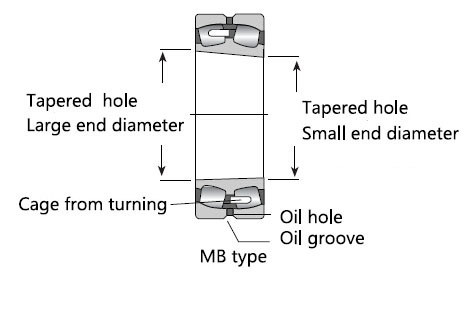 Mounting onto and removal from shaft are facilitated for bearing with tapered hole by using fasteners or withdrawal sleeve. 1:30 (auxiliary designation: K30): suitable for series 24000, 24100. 1:12 (auxiliary designation: K): suitable for other series. 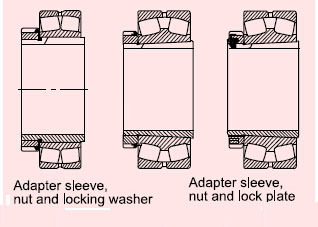 Bearing with taprered hole is secured onto shaft through adapter sleeve or withdrawal sleeve. 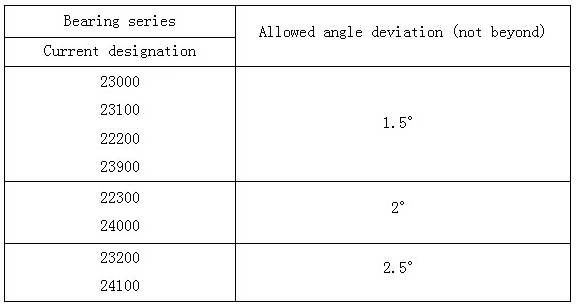 Angle deviations as shown in the table below are allowed for self- aligning roller bearing as inner ring rotates under normal load and working conditions. Whether these given values can be attained is determined based on such conditions as bearing configuration design, seal type, etc. Most of the Spherical roller bearings in OD less than 320mm are the structure reinforcing E series bearings. 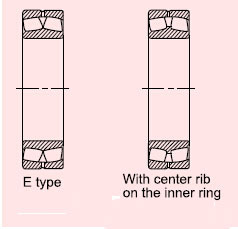 Their difference from other bearings is that their inner ring has no center rib, therefore their roller is longer. The rated load of these E series Spherical roller bearings is obviously more than other common Spherical roller bearing. 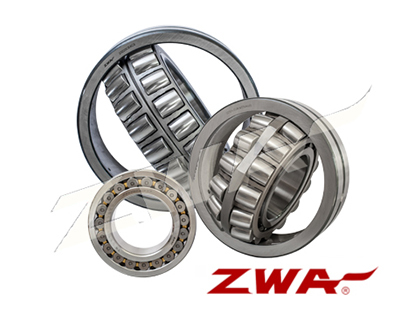 ZWA Spherical roller bearings have the cylindrical bore or tapered bore. 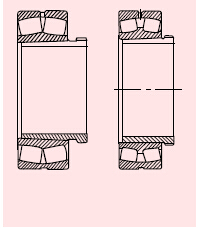 The Spherical roller bearing with tapered bore is mounted on the shaft through adapter sleeve or withdrawal sleeve. The major accessories of vibrating screen are bearings expect for motors. The quality of bearings will directly affect the function of vibrating screens. 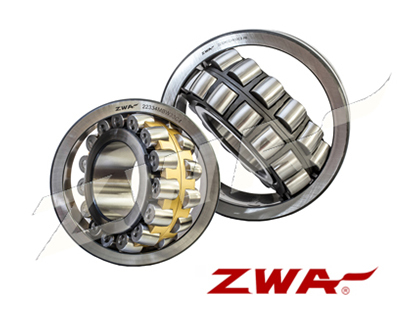 After several year study and research, ZWA have made great progress in producing spherical roller bearings for vibrating screen. 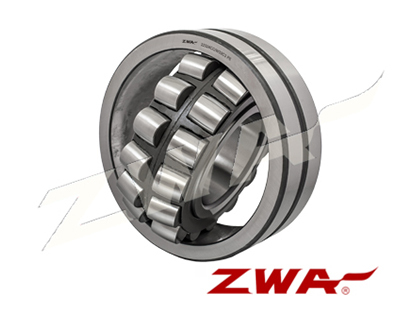 Now, ZWA have produced spherical roller bearings in vibrating screen in series. In the application of bearings for the vibrating machines, since the vibrating screen or exciter cause the acceleration of the roller and cages in bearings, extra requirements for designing the bearings will be proposed. 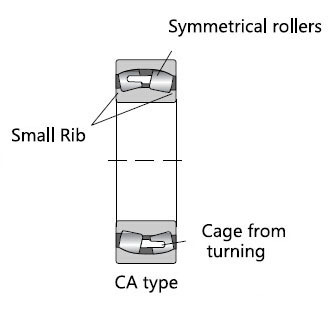 In order to meet the high requirements for high accelerating speed and various loads on the dimension, direction and eccentricity, ZWA researched and developed the spherical roller 223 series based on the same dimension and functions, and produced CCJA and CAFA type spherical roller bearings especially applied in vibrating machines. 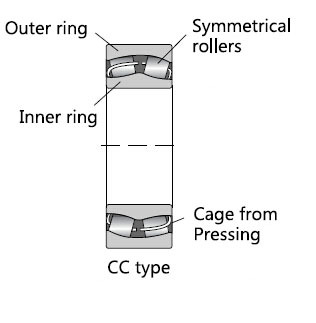 Two surface hardened window type press cage, without collar on inner ring and with an outer guide ring. A machined brass cage guided by outer ring raceway and with a collar on the inner ring. 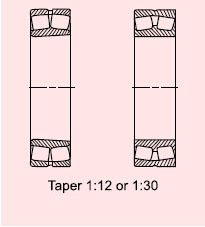 The above design both provide 1:12 tapered bore or cylindrical bore. For convenience of lubrication, all the bearings are with oil slot and oil bore.